Whew! Okay we are going to try this thang one more time, before I throw my hands up with the idea. This time around, I took the power back into my hands and decided to work smarter, not backwards. I was fortunate enough to stumble upon Brown Girl Bloggers, when the admin, Candice VanWye, “liked” a pic of mine on Instagram. 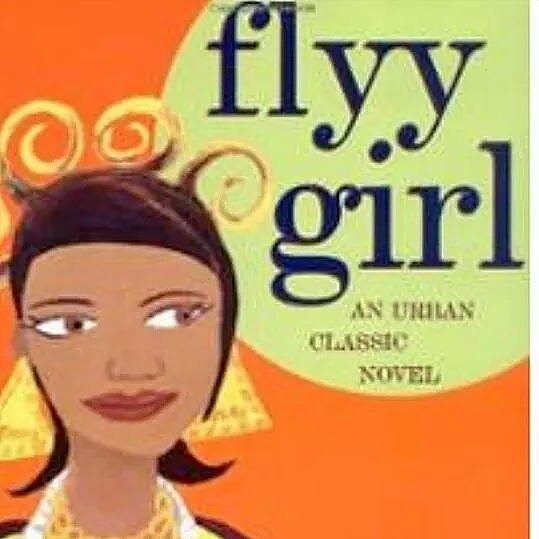 I have been following the Brown Girl Bloggers movement ever since. This community of bloggers is made up of sistars from various backgrounds and blog platforms. From, lifestyle, to fashion, food, interior decorating, travel, fitness, beauty, finance, business and beyond. How could I pass up the opportunity to feature these ladies, these Flyy Girl Friday Feature worthy women?! I mean it goes to show you, when you first attempt a new goal or project, the first few times out of the gate, it may not come so easily or as smooth and fabulous-like as you envisioned it within your mind. It could be a slow process. It could seem that no one is going to buy into the idea and support the cause. But, if you keep your eye open and watch for other opportunities, there is a way you can connect the missing pieces. Every failure leads to the answer. Somehow, HeyGirlHey!!! is gonna get it right. I truly believe this site is going to afford me some amazing bonds with women and possibly form some amazing partnerships. This is the year of #HeyyGurrlHeyy Power! Just because things don’t happen the way we planned, does not mean the plan will not happen. Keep the faith. Stay focus. Win. This topic is very much-needed for myself as well as for each of you. As a matter of fact, I find in writing, I am able to better self reflect as well as lend an encouraging hand to others. The cycle of going forth each day and daring to make it better than the previous, can consume me. I begin to think about all that I have yet to accomplish and the weight of my personal standards can be a bit overwhelming. Sometimes I wonder if God looks down upon me and shake his head at my adamant attempts of breaking my own will. I have been attempting to write a book or two, begin to assemble a production team for my company, save money so that I can invest in my dreams and make more money in the process. And while it seems easy enough in theory, it has proven to pull out some insecurities I thought were long gone. Appreciation is a strange concept when it comes to baring your inner most thoughts and relaying them to others. It was one thing when I was younger, singing in the choir or playing a character on stage; then everyone is willing to come and watch you or support your efforts. Getting older, appreciation seems to take a whole new action. My stress comes from me believing I have to gain the approval of those around me, wanting them to desperately be fully engaged in what I have going on. Wanting them to support me by spreading the word of my blog or my ideas, my attributes, my gains….at 29, I am still forgetting that my will is my own and that it is rare to have those believe in what I am called to do, simply because they cannot see, dream or feel the things I am privy to. And is that not the true blessing? That this was given to me, to grow and nurture. These dreams I have do not go to anyone else but me. Sure there are others who aspire to accomplish the same things I do, but what has been given to me to create, is completely my own. In this moment, I am realizing I have a complex. And as much as I would like to shake it off, it is not working. I am going to dig a little deeper to pull through the muck of mental frustration and restless energy. What can I do with restless energy, besides sabotage my creative energy. Therefore I have looked into the option of yoga. Being able to center my focus and push through the volcanic pressure to channel my purpose solely to those things, I asked God to grant me. Those things I would sit inside my dark closet and pour my heart and soul out to him. The stillness I felt after I would lift my face from the floor, tear-stained, face hot….I would sit and await the vibration that would sweep slowly and steadily through my body, setting me into a zone of total peace. I would listen for his voice. I would listen for my heart to connect to the energy and show me the way or reassure me that I was on the way. I don’t know what others want. I only know what I need. And being that God says he will supply my every need, I know I will inadvertently give what needs to be given to others. Self inflicted stress is a real issue. It haunts those who spend too much time thinking and not enough time doing. I realize that now. I see that by not attempting to write everyday, I force myself to worry about am I really a writer and should I just stick to the day-to-day grind of doing what needs to be done to survive, instead of doing what I love and being a survivor of the day-to-day to become a conqueror. I don’t know about you, but I don’t want to be in the same situation next year, wondering what would have been if I had started this year. The book will be completed. I am tired of my self-inflicted stress. Quick time in the limelight. Sure they shine for right now. But aint you tryna shine forever? That’s why you go deeper than the surface. Exploring your purpose. Shiny things do not matter. Them dim in due time. But a soul that shines in this lifetime, finds reward in all times of life to come. Look, but do not envy. Let not your heart be consumed with petty thoughts. You have no time and the world is so deceitful, it will have you to believe what you seek, aint worth seeking. That is why you see so much carbon-copying. Tell yourself, there is nothing else. This is all it has to eat. Your purpose, to fuel you. Your passion to drive you. So you must change your mindset in order to survive off what you got to give. We aint following no body. It is still within your power to make it happen, to have it become what you have been dreaming it to be. No matter how many obstacles stand to deter you, it is your choice to push forward or to turn around. To turn around to the lifestyle that is light years from where your passion is, to a place where no amount of things can compensate for your desire to attempt and achieve. How hollow of a life are you willing to live? How half assed of an existence are you willing to endure, simply because of challenges and people? Because those are the situations we drag ourselves into, when we do not actively pursue our true happiness. The happiness we were created to live, and to serve in. Imagine being at peace and creating things from within that place of peace. Can you visualize the results? Can you begin to feel what giving of yourself when you are constantly full can do for not only others, but for you? Everything you would set out to accomplish, would be successful, because you are at peace with what is being pursued. There are no dead ends. There are no set backs. There are no missed opportunities. Because everyday we will function with the intent to reach our creative source. I am not convinced this is the only life I am to live. Not just this present one. Because there was a past life. One in which I struggled to see the silver lining. One in which despair was my crutch of a friend. Leading me down winding roads of wrong choices. Desperate attitudes and hollow allegiances. No, I am not convinced this is the only life I am to live. I am positive of it. Because, just like today is new, so will tomorrow be. And my life will start again. So while today I struggle to create. I love poems about women. I never grow tired of basking in our strength. I do not write to tell you what to do. I write to help you reflect, evaluate, appreciate, discern. To humble thyself, to love, to achieve, to debate, to criticize….constructively. To dream, to believe, to smile, to cry. To reminisce, to plan ahead. To hope, to pray, to be thankful always. To remember what it is to believe in your dreams. This year is a great year to be a Hey Girl Hey!!! Reader, and I do not take lightly the likes and comments. We are all creative beings, dancing with the emotions of art acceptance from others. So, I feel at peace stating my joy for each opinion. Be in light mind of me, as i am of you. I will for the success of this year for us all who are willing to go get what is for us! When you speak it into the atmosphere, it is forever there, awaiting your actions to pull it into your territory. Continue everyday to speak what your heart desires and follow through with moves of action. Liberation is a beautiful thing, no matter who or what is left on the other side.